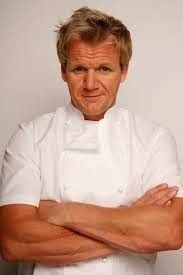 According to tourism blog Maldives Finest, Gordon Ramsay proposes to open a restaurant on the experimental multiple-hotel island development of Thumburi. I'm yet to hear this from another source but the same post quotes Maldives Marketing & PR Corporation as the source (The MMPRC company is basically the tourist board and operator of Visit Maldives). If verified from the celebrity chef's team (and if it actually comes into fruition) this is fantastic news and could encourage some exciting competition amongst Maldives' top resorts. In my opinion it is a brave choice to pick Thumburi as it's a new concept in the Maldives. Thumburi will be the country's first island to offer more than one resort in one place. Until now there has been just one resort per island with no local communities sharing the island (only staff and guests). By contrast guesthouses and 'city hotels' are located within island communities where different laws apply with regards to alcohol and pork consumption and the wearing of bikinis (they are banned in inhabited islands, except for resorts, only with the small exception of some islands offering small private tourist beaches where you can flash the flesh). 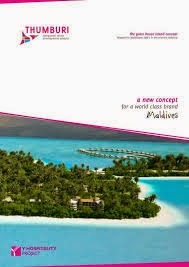 Thumburi will integrate several resorts, hotels and guesthouses and since no communities live there the special legislation which permits liquor, pork and yes, skimpy swimwear has been applied to this island just like it has on every resort island in the Maldives. Alongside the tourist accommodation there will also be shops, restaurants and scuba diving centres. While this concept is new to the Maldives it is of course a very popular concept to have a variety of accommodation and services combined together on other tropical islands (albeit larger ones) across the world such as Koh Phi Phi, Phuket, Langkawi and Mauritius (although they also have communities living there too). It'll be really interesting to see how Thumburi develops.